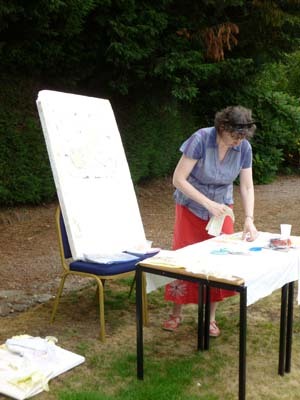 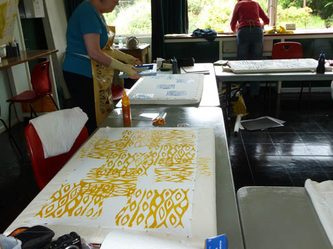 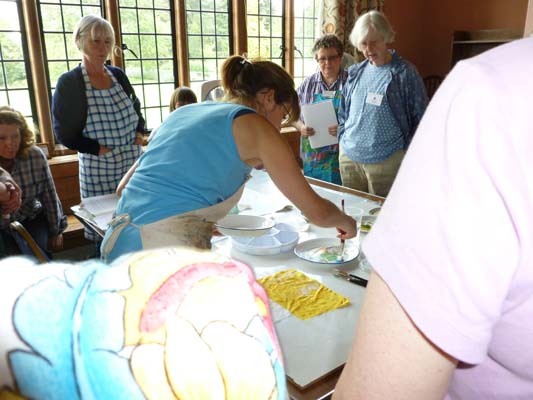 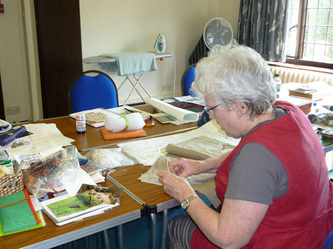 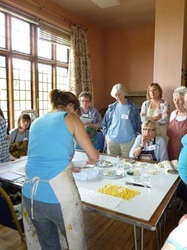 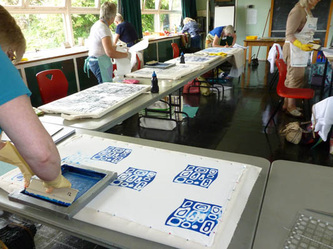 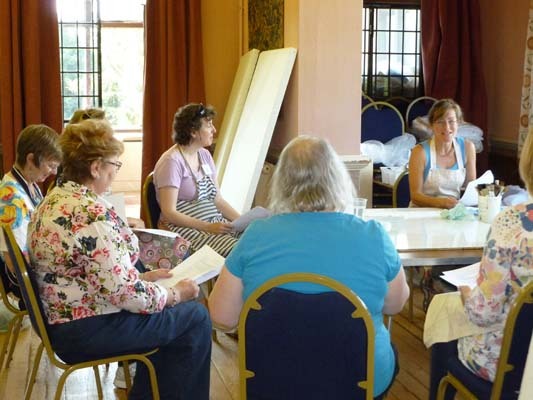 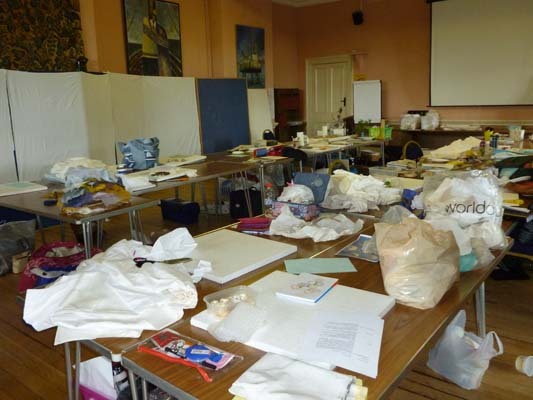 Summer School was held at Belstead House near Ipswich from 1st - 3rd July. 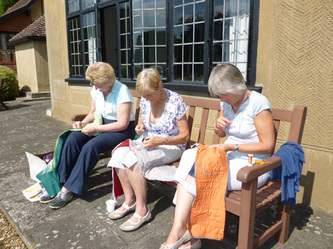 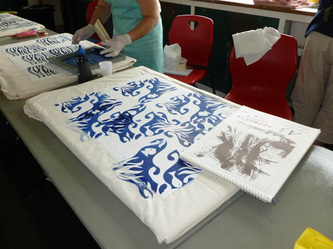 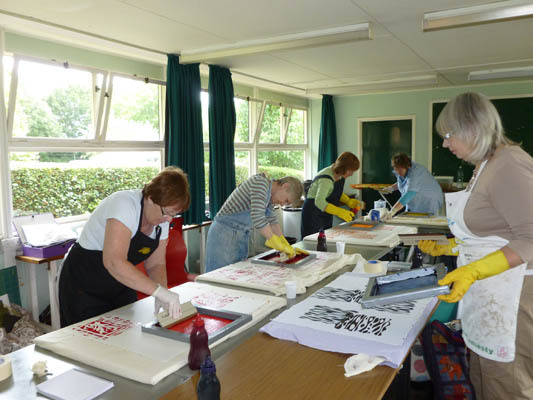 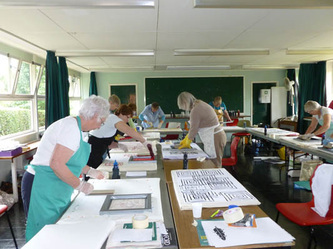 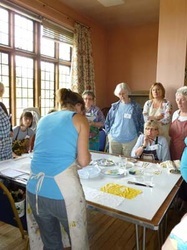 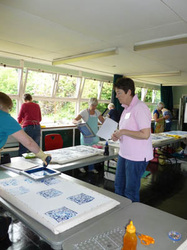 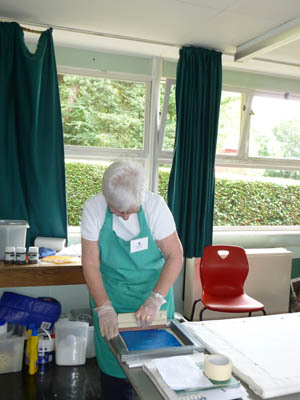 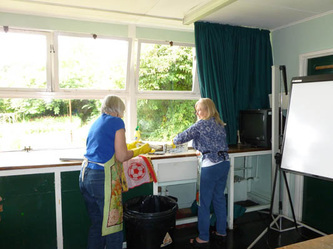 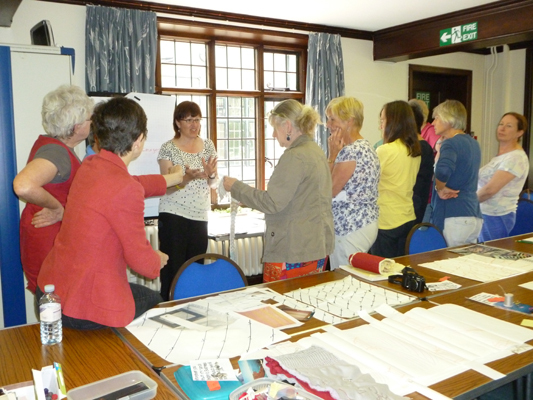 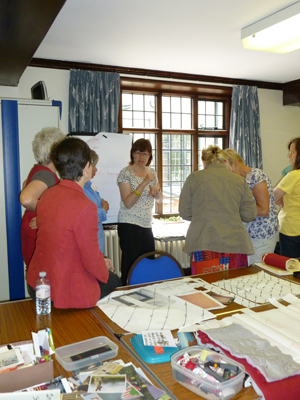 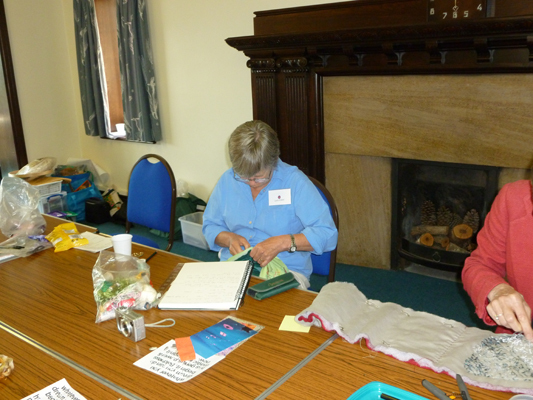 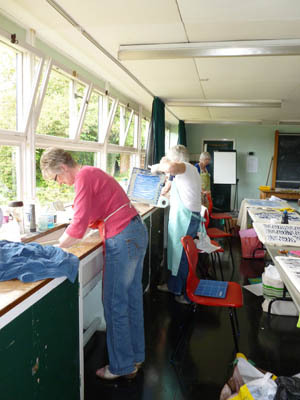 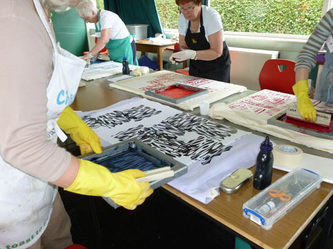 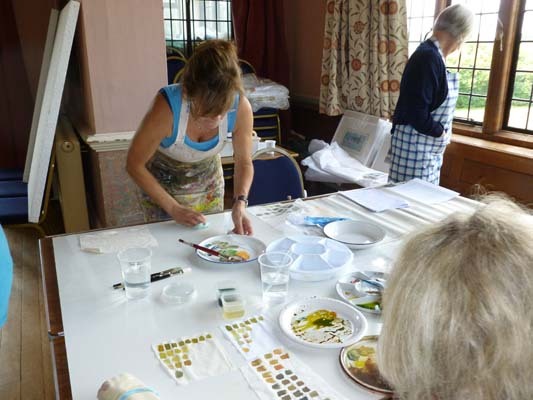 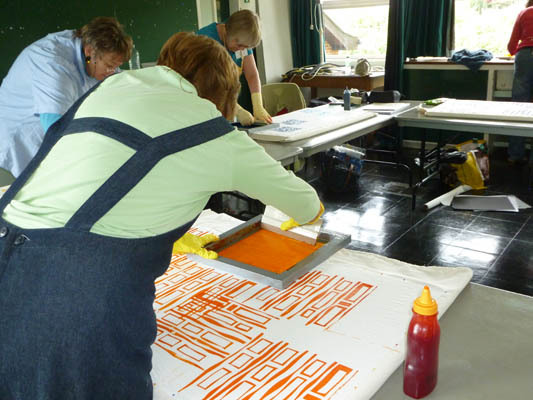 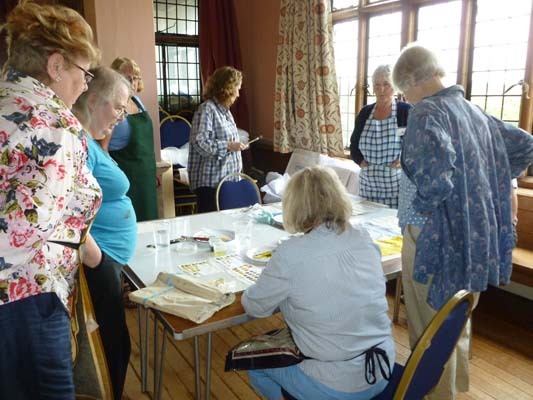 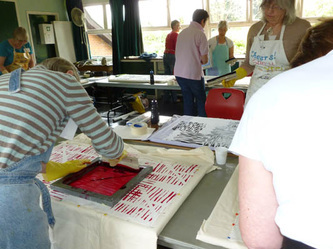 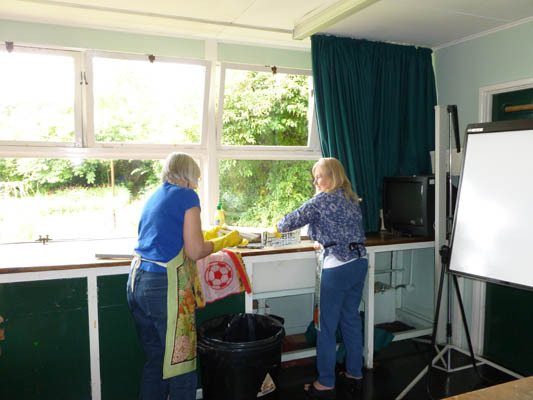 The tutors were Jo Budd, Helen Parrott and Linda Maynard. 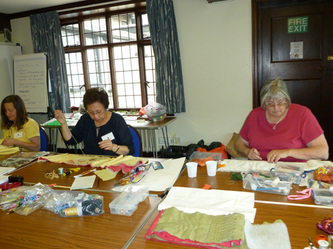 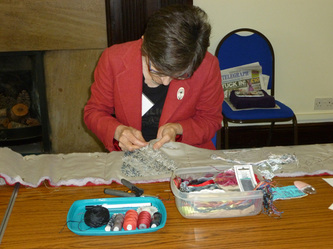 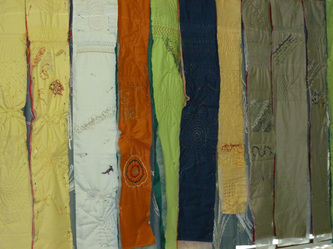 A workshop based on creating texture through stitch. 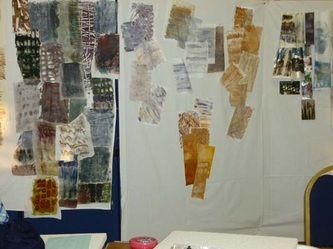 Each student made a strip of technique samples. 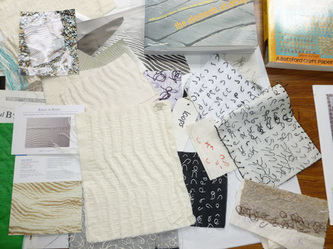 Students were individually helped with planning a future project. 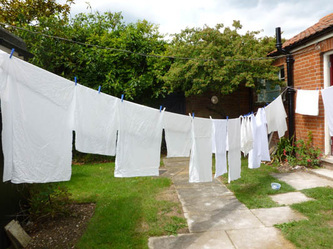 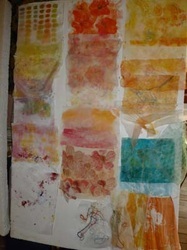 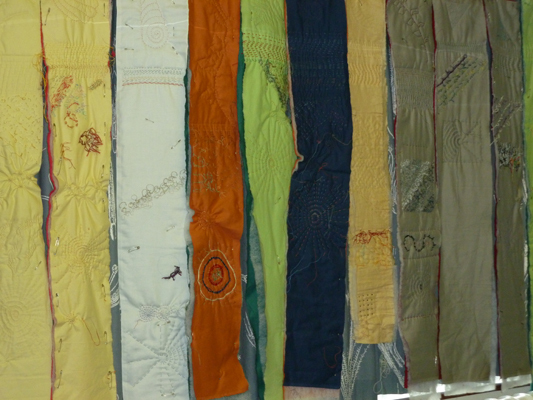 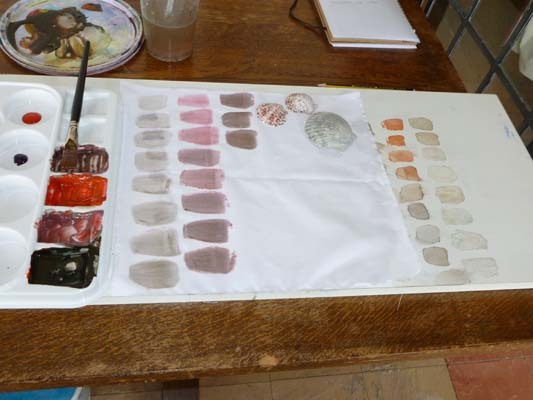 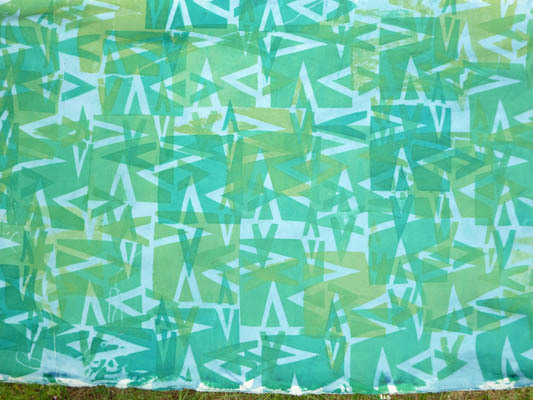 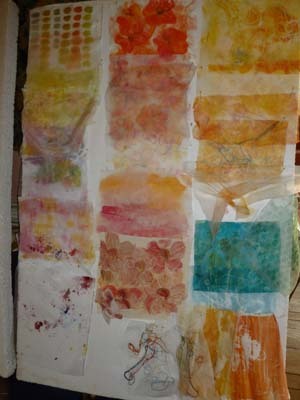 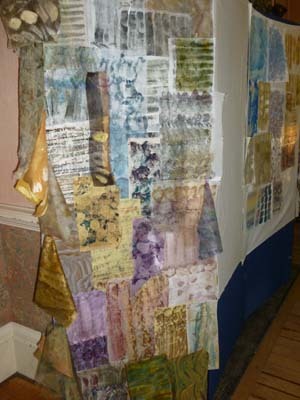 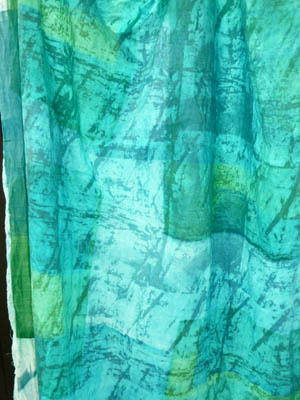 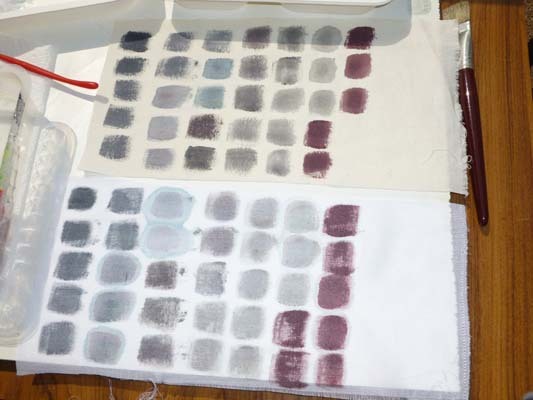 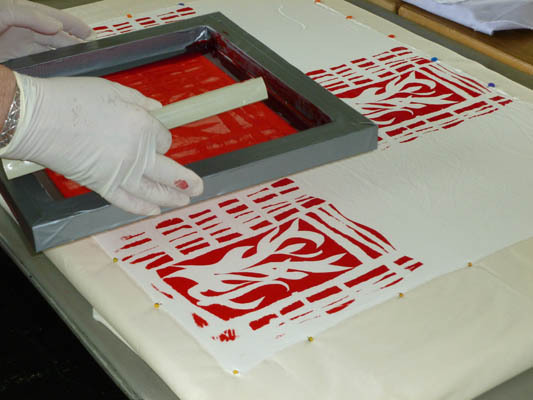 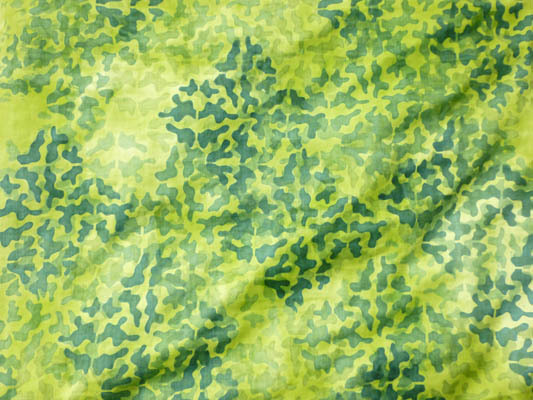 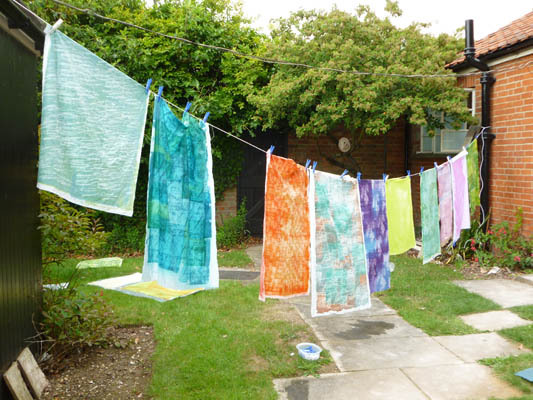 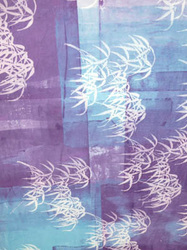 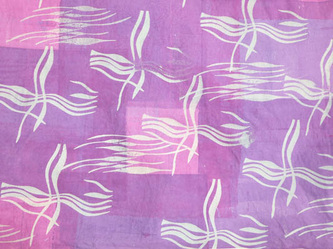 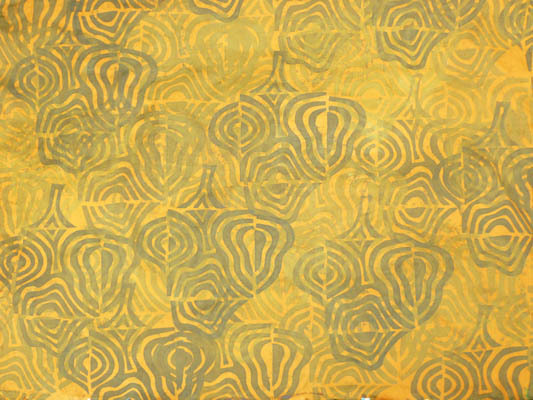 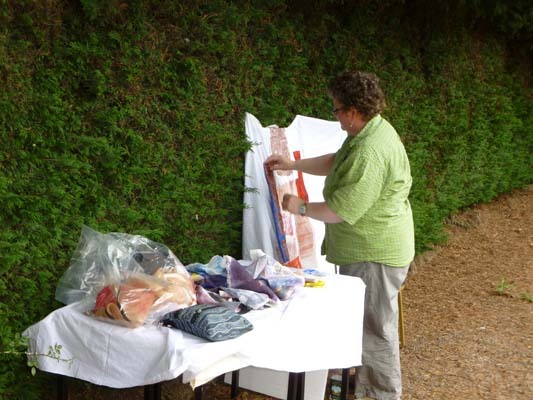 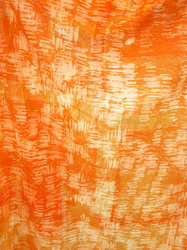 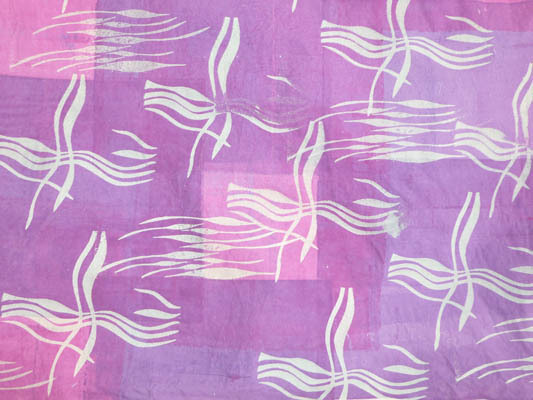 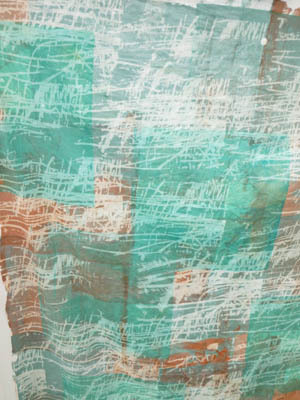 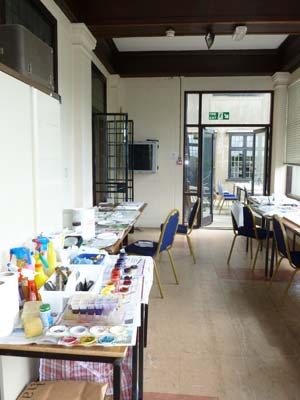 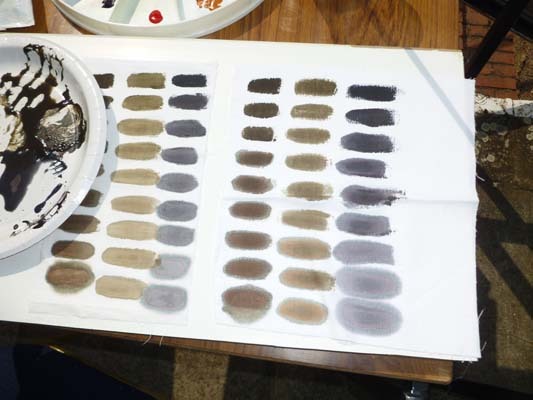 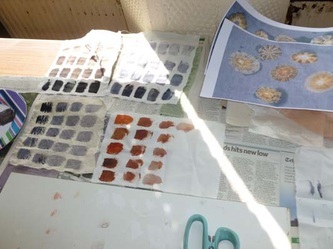 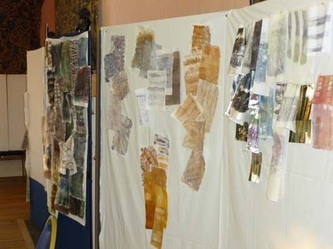 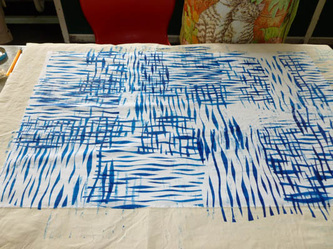 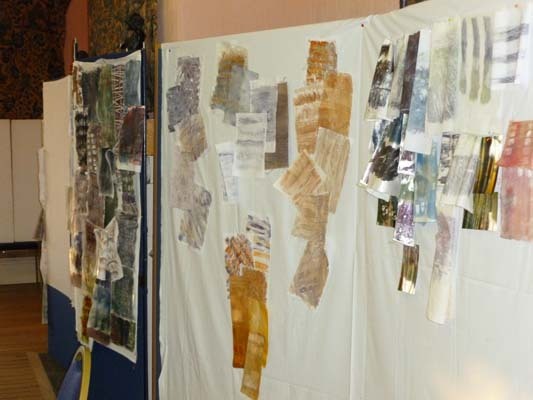 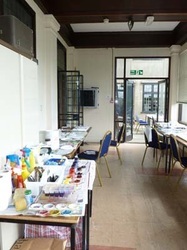 A workshop on creating a cohesive palette of colours for dyeing fabrics using various techniques and including resists.